Duplicate entire modules – This has made my workflow significantly more efficient in some cases! SpeedGrader Enhancements including image annotation and comments showing on the same page as source location. 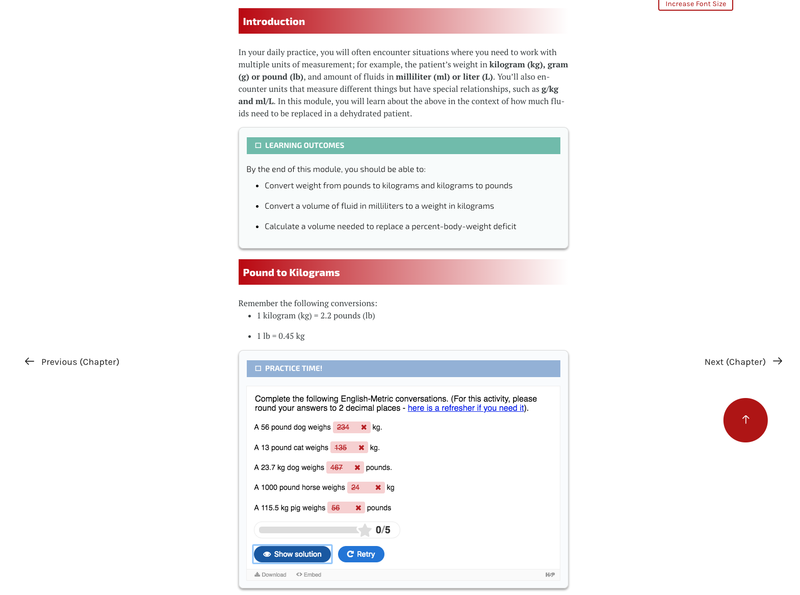 App page view reporting – With all of your pre-clinical students having iPads, this helps with getting more accurate information on the usage of your course resources. Student Planner / Dashboard List View – This view puts deadlines and to do items front-and-center for students; this view also allows students to add their own to do items! Look out for an update on this from Teaching and Learning soon after release. Assigning Pages and Ungraded Discussions to student to do – You’ve been able to set module requirements for students to view your content pages; now you can set due dates and help your students remind themselves by putting them on their Planner. New Gradebook: This is a redesigned gradebook with additional functionality and a cleaner interface – faster, more informative, easier to customize view and make quick adjustments, and so on. 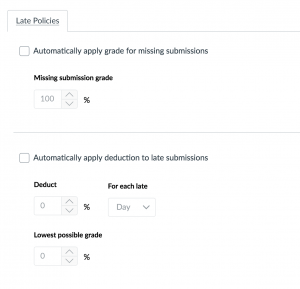 In addition, you are able to set automatically-calculated late and missing assignment policies with the New Gradebook. Let Teaching and Learning know if you would like to explore the new gradebook in your courses! 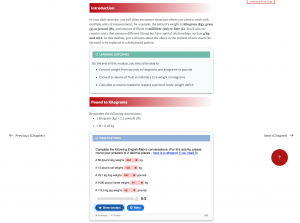 Quizzes.Next – This is a completely redesigned quizzing tool that will come with a new experience as well as additional question and stimulus types. I’m most excited about additional capabilities in question bank management and sharing, as well as ability to tag outcomes to individual questions! More information forthcoming – Rich Content Editor drag and drop, SpeedGrader screen recorder, etc..
Over the past few weeks, you may have witnessed the strange sight of third-year students carrying around stuffed IKEA dogs, silicone bladders, Wubble Bubble dog abdomens, and other oddities. Please be reassured that this is not a part of an elaborate student prank; rather, what you’ve seen is just a small selection of learning aids being developed for the new Clinical and Professional Skills Lab (CPSL)! Summer Assistant Marshall Aanestad holding two prototype silicone bladders being developed for the Clinical and Professional Skills Lab. While the students have been busy working on the learning aids, over the past month Teaching and Learning has been working with our CPSL partners (i.e. the STRIVE groups) on the overall design of the learning modules, which will support the eight skills identified for Autumn 2018. Specifically, the first step of the design process involved discussion of the “Big Rocks”, such as why it is important for our students to master a skill, its real-life relevance, as well as common mistakes and misconceptions that have been observed in our students. 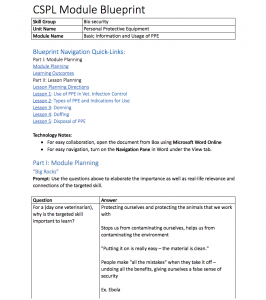 The “Big Rocks” are summarized into unit learning outcomes that reflect the skills needed to be a day-one veterinarian, and will guide the creation of the CPSL learning modules, starting with checkpoint assessments that will provide opportunities to ensure that the students are on-track. Building on our work in May, June’s focus will be on the development of the CPSL module lessons, as well as the creation of a variety of learning materials, activities, and aids for them. Coming from Universal Design for Learning (UDL) principles, we will work with our CPSL partners to provide students options in how the content is presented to them (“Representation”), how they can approach their own progression toward the learning outcomes (“Engagement”), and how they can demonstrate their achievement of such (“Expression”). 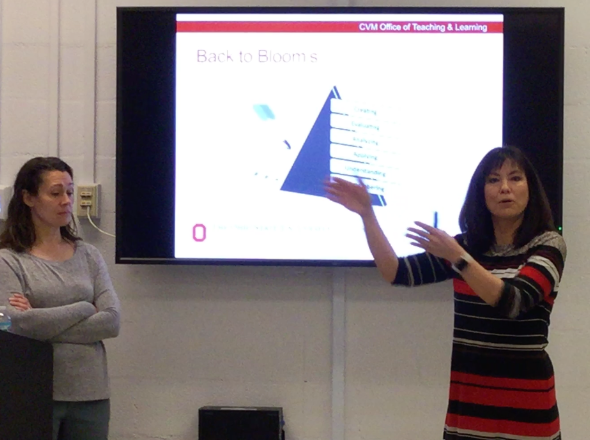 During the summer, don’t be surprised to see OTL staff, CVM faculty, and DVM students popping up in different places around the campus shooting videos, drawing models for 3D printing, and piloting their lessons and learning aids with medical center staff! We continue to be very excited about the impact the CSPL can have on how our students learn and how our curriculum can be re-imagined. Earlier this week, the Office of Teaching and Learning welcomed our new instructional designer, Sean McCready. Sean will be working closely with our faculty and staff on creating curriculum and learning modules for the new Clinical and Professional Skills Lab (CPSL), which is slated to open in August of 2018. Before coming to the CVM, Sean served as a teacher and curriculum specialist at the Electronic Classroom of Tomorrow (ECOT). At ECOT, Sean implemented backwards design principles in multiple curriculum development projects throughout the school. He also created content for courses that followed Universal Design Learning principles, ensuring that all students, regardless of disability or learning preferences, had an opportunity to learn; his work involved the use of web content, video and interactive learning modules built in Articulate Storyline and Adobe Captivate. Sean has a Master of Education in Curriculum and Instruction from the Ohio Dominican University; he also received his Bachelor of Arts degree from the Ohio Dominican University. If the Box Integration is used to insert a BuckeyeBox file link into a Module or a Content Page in Carmen, the resulting link opens up to preview page with a download button that is non-functional on the iPad. This issue does not affect links that are generated manually on the BuckeyeBox website/in the Box app, and are then copied/pasted into Carmen. For the past two years, a group of respected educators from the Association of American Veterinary Medical Colleges member institutions has been working to develop a competency framework for veterinary medicine that aligns with approaches used by other health professions. 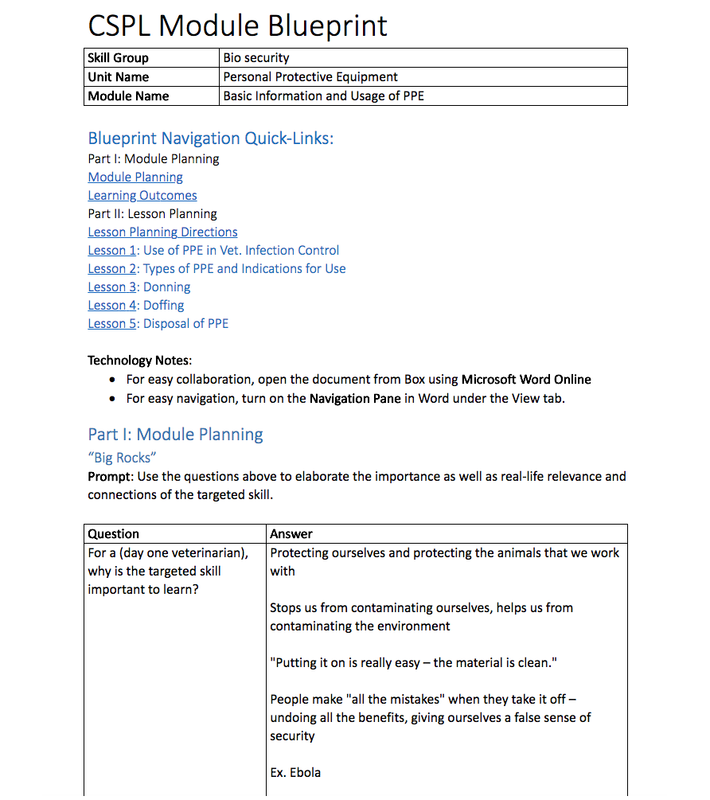 The Office of Teaching & Learning became aware of this work when it began and participated in an activity designed to provide feedback to the group working on this project, specifically examining a very early draft of the competencies during a session at the 2016 Veterinary Educators Collaborative. The finalized framework will be introduced during a plenary session at the 2018 AAVMC annual meeting in March. The project was led by Associate Deans for Academic Affairs Dr. Jennie Hodgson of the Virginia-Maryland College of Veterinary Medicine and Dr. Laura Molgaard of the University of Minnesota College of Veterinary Medicine. AAVMC’s website has additional information about the process and working group. 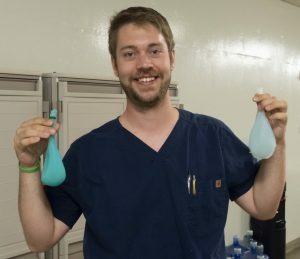 If you have been following the newsletter, hopefully you would have had a chance to learn a little bit about some innovative projects that have been happening right here at CVM! Teaching and Learning is honored to have had a chance to present at the biennial Veterinary Parasitology Educators Symposium, which took place at the CVM on 12/14 and 12/15. We would like to share our presentations with you. The Office of Distance Education and eLearning has provided a in-depth guide on getting your students’ final grades ready. What do the icons in my gradebook cells mean? It means that there are be items that you still need to grade; for example, using the SpeedGrader. What do I do with blank cells in my gradebook? Don’t leave them blank! If a student should receive 0 for a missed assignment, you should put 0 in the cell. If a student has a valid excuse for missing an assignment, you should put EX in the cell. How can I give students extra credits? The guide covers several scenarios as well as solutions. Both Teaching and Learning as well as PPS would be glad to help. I have grades in Top Hat that should count toward the students’ final grades … how do I go about that? Please contact Teaching and Learning. If we helped you set your Top Hat course up, we should be able to help you easily sync those grades from Top Hat to Canvas.